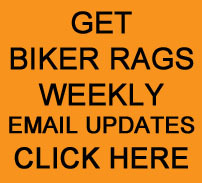 On August 27, 2009, Ken Schwall visited Biker Rags. This entry was posted in Biker Rags Story and tagged Biker Rags, Ken Schwall, Positively Schwall. Bookmark the permalink.